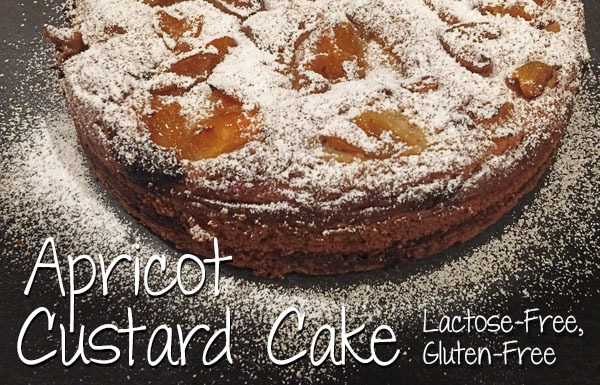 Bring back the golden sweetness of summer with this luscious custard-filled apricot cake. Last year's over-productive apricot tree in one of our team member's back yard resulted in a freezer well-stocked from this abundant crop. 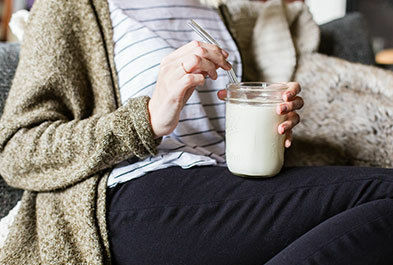 Our Whole Milk Kefir is the star ingredient in the creamy custard filling, and also in the batter of the cake, resulting in a moist, rich crumb. And it's gluten-free, too! 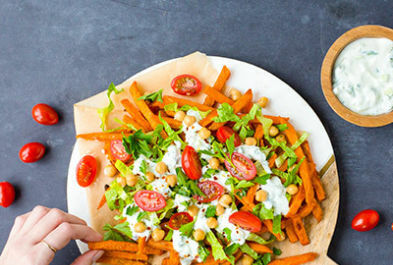 You'll find this recipe, and lots of other great lactose-free recipes here. New! 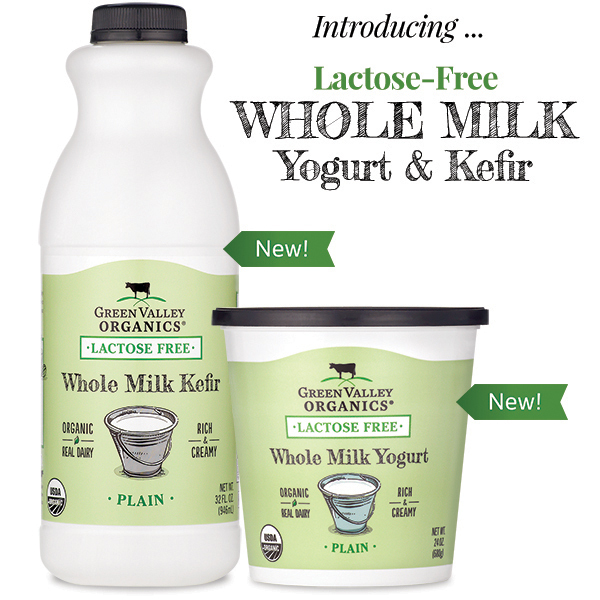 Whole Milk Lactose-Free REAL Dairy! Whole Milk Yogurt and Kefir. We give you the richness of whole milk combined with the superb sweet and tangy flavor of our yogurt and kefir, 100% free of lactose. 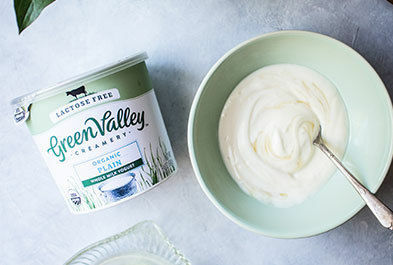 Our whole milk dairy is minimally-processed, probiotic and nutrient-dense. It's ideal for a healthful breakfast, daytime snack, and school lunch, as well as in baking applications (see Apricot Custard Cake recipe above). We hope you'll try it, and let us know what you think. 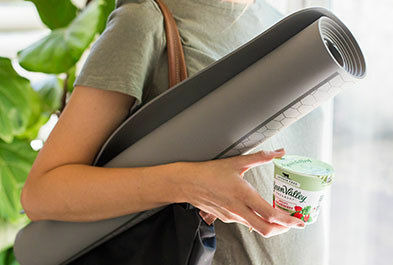 It's currently available in Whole Foods Markets across the country, right alongside our existing line of low-fat yogurts and kefirs. Check our store locator for a store near you! 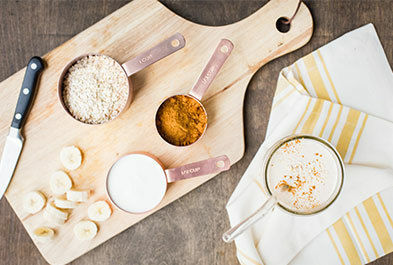 Eating clean is not just about eating pure, minimally-processed food, but also about being mindful of your food's origin and the footprint it leaves on the earth. How do you find time to make the best choices when you need to purchase packaged food from the grocery store? 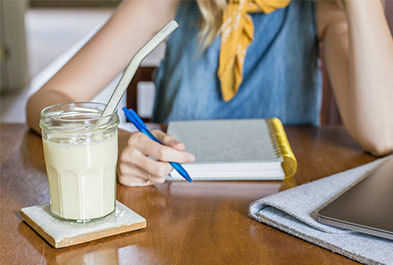 Each year Clean Eating Magazine scrutinizes hundreds of packaged grocery products and chooses the top 140 cleanest products in the supermarket. 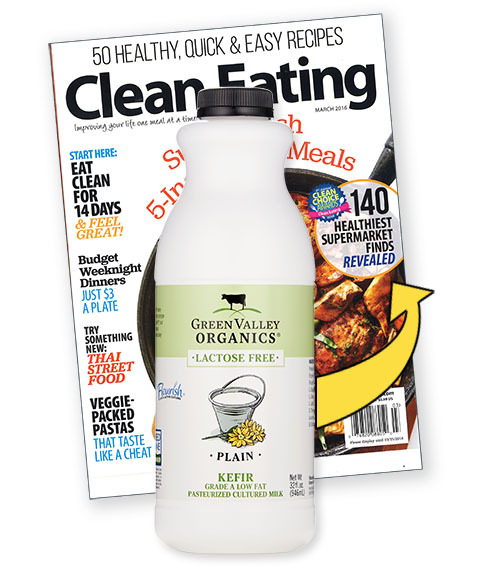 We're pleased to announce that our Plain Lactose-Free Kefir has been selected as a winner! Check out the March issue of Clean Eating, which just hit the stands. We think you'll enjoy perusing the list of winners. We think we're in great company! 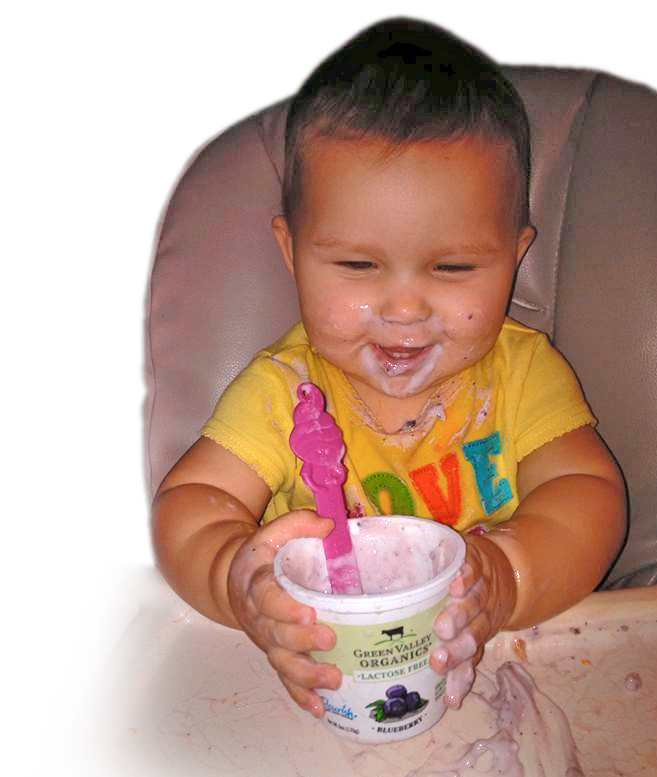 Shantel from Olympia Washington send us this photo of her adorable daughter, Acacia Joy, enjoying her cup of Blueberry Yogurt.